​Located in the financial district of the city, the hotel is an ambitious proposal, leading the way for the evolution of the city as a main tourist destination. 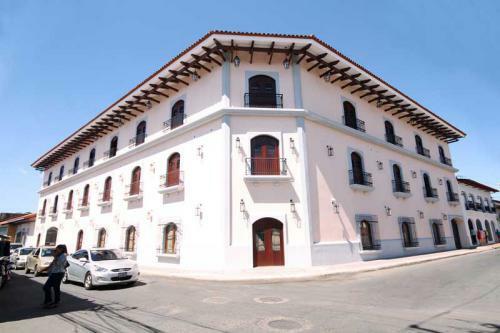 The hotel is just in front of La Recolección Church, one of the most beautiful in all of Nicaragua with a distinctly Baroque style and unmistakable yellow color. A full service restaurant, WiFi in public areas, free self parking, cafeteria, business center, and gym. 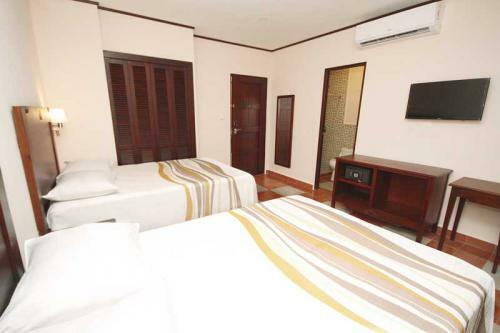 The hotel has 50 rooms: 4 Master Suites, 6 Junior Suites, 2 Studios, 20 standard, and 18 standard doubles. 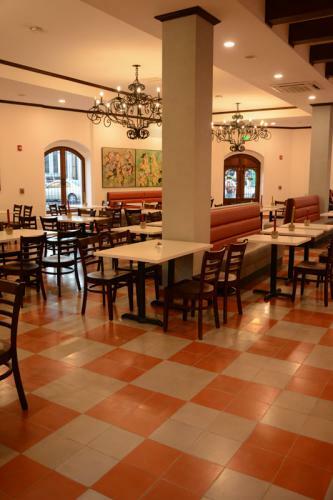 “La Esquina” is a cafeteria with a casual atmosphere. 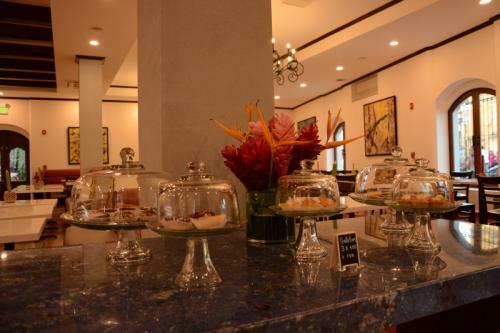 Let yourself be tempted by their freshly baked rolls, and scrumptious desserts. 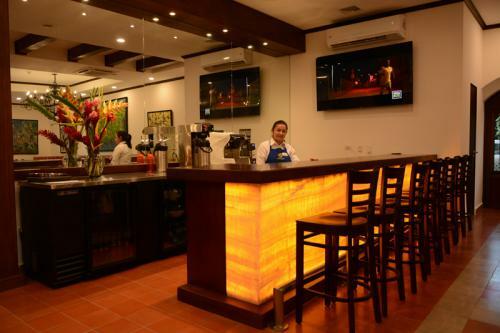 Don't forget to visit the bar and enjoy refreshing and tasty libations in air-conditioned comfort. Offering breakfast, lunch and dinner. Sunday to Wednesday from 6:00a.m.to 9:00p.m. / Thursday to Saturday From 6:00a.m. to 10:00p.m.